happy stories, #30daysofbiking, the secret, Austin safari, etc. 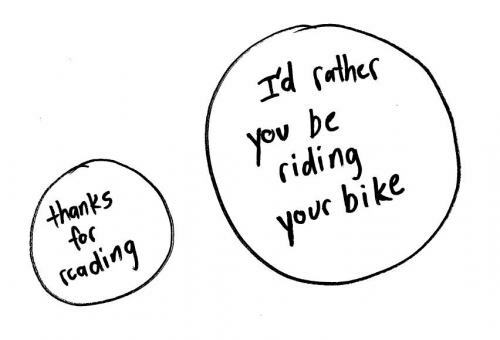 Running and biking are simpatico — the ultimate yin/yang. When it’s too hot to run, I feel the cool breeze on my bike. When it is -20 below, I run. Am I fast at either? Hell no, but I’ve worked on it here and there. To improve my run pace, I’ve tried restricting the food I eat, even the amount of *gasp* beer I drink. I’ve run a few marathons – always had a blast – but never finished in a “respectable” time. I have an issue with keeping track of time. I also take issue with restricting stuff. Life is a balance. I’ll keep running and biking. I’ll get those 1,000 running miles in this year. But, I’m having pancakes and ice cream. bike school, pink, B ride, jackassery, etc. There were other lessons this week. It’s not always about the bike at #bikeschool. Thanks to @SaraSantiago for the best lessons of the week. I’m so glad to have found Sara’s blog. Everyone needs a hefty dose of jackassery served with a smile. I’m also super happy @cyclelicious replied to my “Bikes as Art” comment, pointing me to rule 8. This is going to save me hours in the garage. 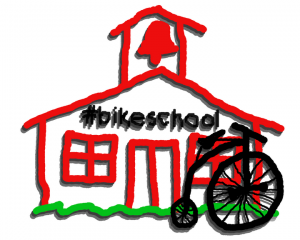 We’re leArning the wAy Along the wAy – live streaming right now at #bikeschool. [editor’s note] – I found the email subscription widget this weekend so if you would like future posts emailed to you just click the button on the top right. BAM! It’s easy. Make it a great week. It’s early and I don’t even know if delighters is a word. 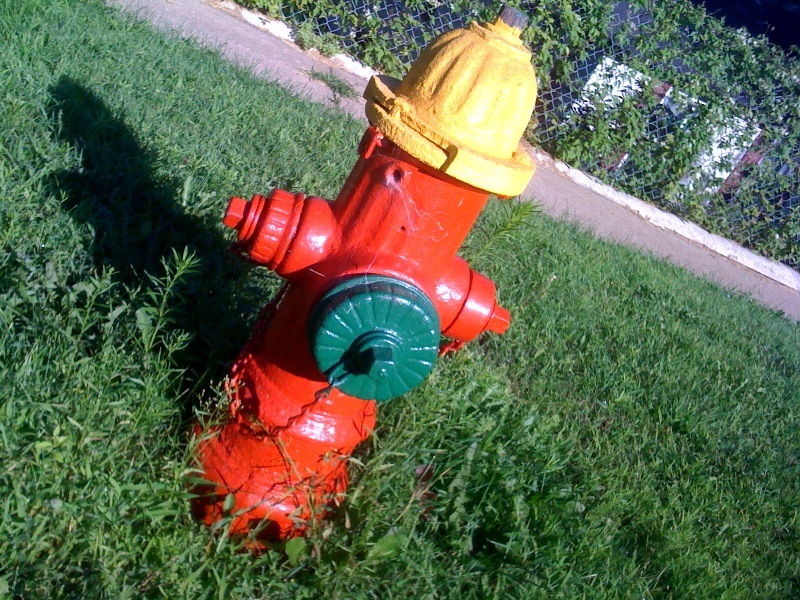 I snapped this photo with my iphone a few weeks ago (#seenonmybike) and the image has stuck. Colors, smells, delighters… the Summer is full of them. This weekend I’m on the lookout. Enjoy your weekend. @ev: This tweet is the number one Google result for jackblammer. @egggman: so @bikerly is #jackblammer a verb??? I had to jackblammer up that hill but it was worth it the singletrack on the other side was sweet??? Who gets to establish the norm, anyway? Are you a wordophile, a wordulous wordie? 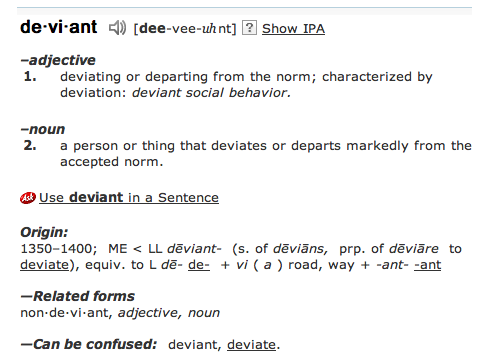 I think it can never hurt to have dictionary.com locked and loaded on a separate tab (but, then I also like to pedal singlespeed). My co-worker was referrencing the clock. It was 39 minutes later than my usual office arrival. For good reason – a deviation from my morning run protocol. The sunrise was the most incredible in a damn long time. It’s not every day you see something this brilliant. Departing from the norm, I took an extra left, then a right and discovered a new hill loop. 4 miles turned into 8, and I was 39 minutes late. Which brings me to the bottom line. I was 39 minutes late and 3.9 times more productive than the day prior (having arrived 15 minutes early). Someone else can calculate the return. I’m going for a bike ride. Addicted to cycling. How are you going to explain this to your cat? There are times when a tweet just doesn’t cover it. 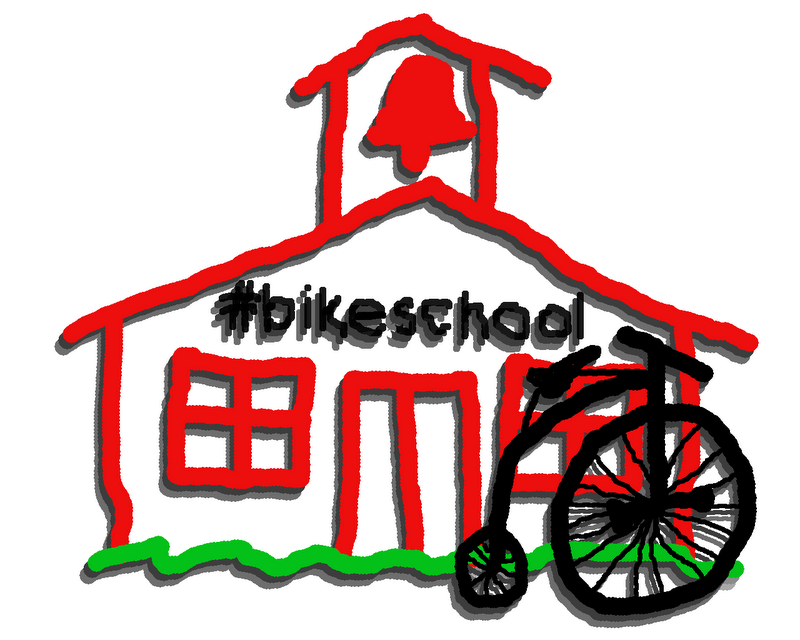 You might have a #bikeschool story so smashing that you need to blog it out. So what are you afraid of? Is the lizard brain taking residence in your head? Does this sound like a guy who can’t write? How else to tell the world about our great biking adventures? Tweeting is great, don’t get me wrong, but once you enter the world of blogging I think you will be hooked, in a big ring way. So what are you waiting for? It’s free. And here’s a great guide to getting started. Just throw something together and put out your first post.